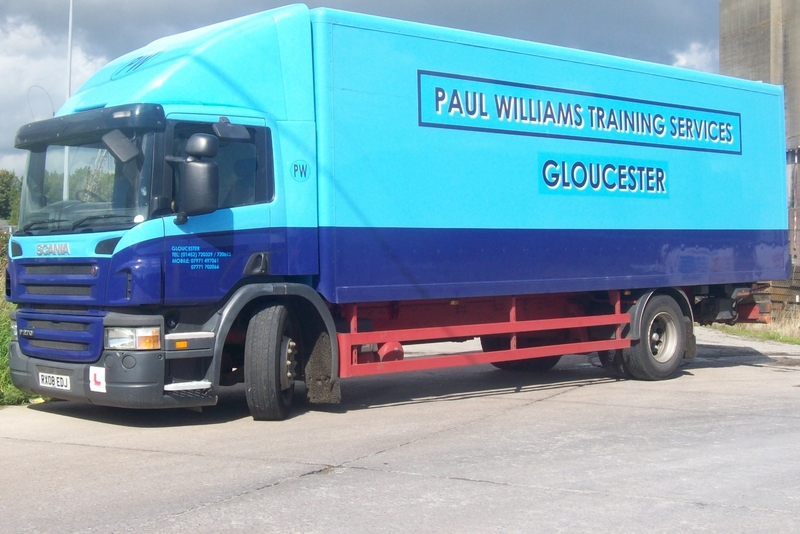 Driving lessons on a HGV is what we do best and Paul being a DVSA instructor for more than 20 years can tell you what the examiners in Gloucester are looking for in today's driving test and any information regarding Tacho and rules for digital as he is also an RTITB Tacho instructor. He is also a Jaupt instructor for CPC as only 1,000 in the UK at the moment. 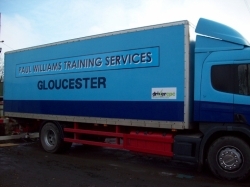 We use Scania lorries for our training vehicle's which we have found to be both easy and comfortable to train on.They have all the requirements for the driving test. You can then progress to C+E category knowing that as we use Scania lorries the cab controls are the same. Our own site at Moreton Valence has a large reversing area that our pupils will use to gain the expertise needed for the first practical demonstration part of their test. We will charge you £20 for an assessment drive which is about an hour to see what skill's you hold already and to show you what the examiners are looking for. You must hold the provisional entitlement which you apply for from swansea DVLA before hand. We have the FORMS THAT YOU NEED JUST PHONE US AND WE WILL POST THEM TO YOU. YOU ALSO NEED A MEDICAL AND OUR ONSITE DOCTOR WORKS EVERY MONTH ON A SUNDAY AND THE FEE IS ONLY £60.00 ASK YOUR OWN DOCTOR WHAT HE WOULD CHARGE BEFORE YOU GO.........TELEPHONE 07732657267 FOR BOOKING AN APPOINTMENT. We train in four hour lessons with you and an instructor ,we find that this way you will learn faster and your confidence will grow quicker.A typical course will start at 8.30am and finish at 12.30pm or 12.30pm to 4.30pm . The number of days required would be discussed at the assessment drive.